PUBLIC APOLOGY | McServed: Getting Served McDonalds Fast Food Funnies, Laughs and More! 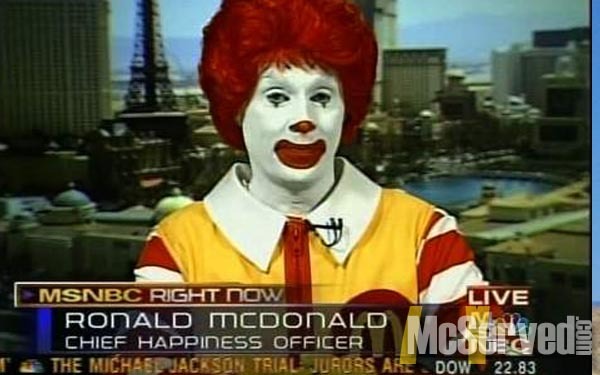 MSNBC Right Now: Ronald McDonald, Chief Happiness Officer. Why so serious Ronald?